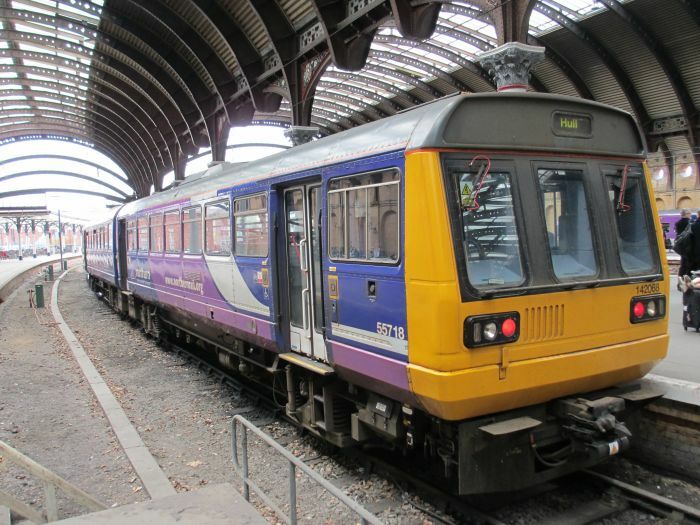 The Class 142 DMU units were built in 1985-1987 by BREL Derby/British Leyland works. 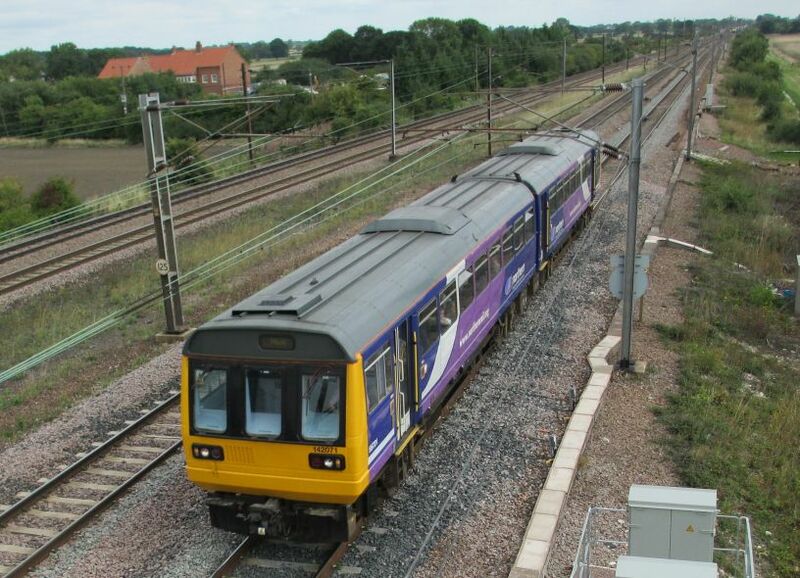 Class 142 trains have a maximum speed of 75 mph. 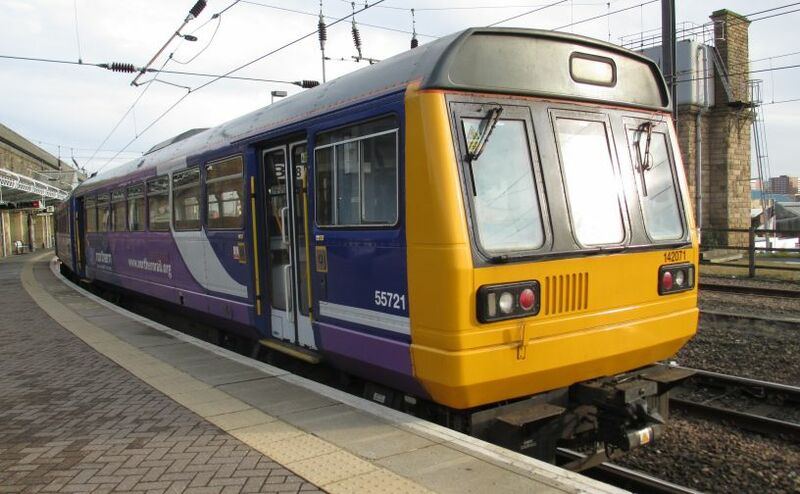 Built as stop-gap measure to replace steam hauled trains, Class 142 PACER DMUs have served UK railways for many years with their characteristic rattling bumpy ride! 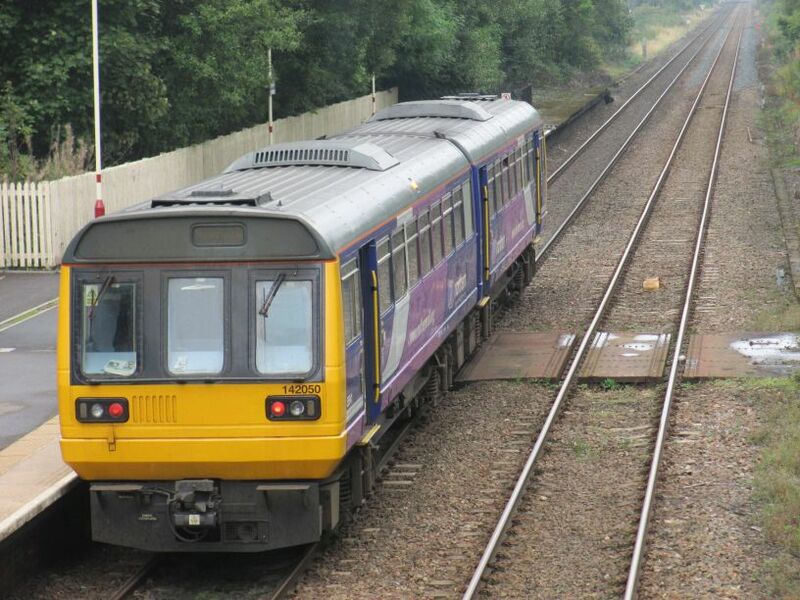 Class 142 Pacer units are probably more loved and appreciated by railway enthusiasts far more than the general public! 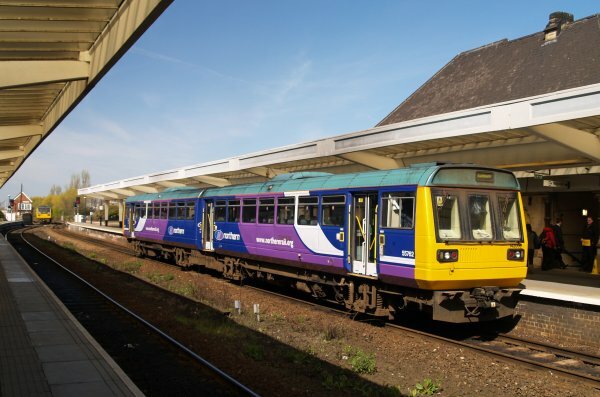 Class 142 DMU 2-car unit 142050 at Seaham station with a Northern Rail service from Newcastle to Middlesbrough. 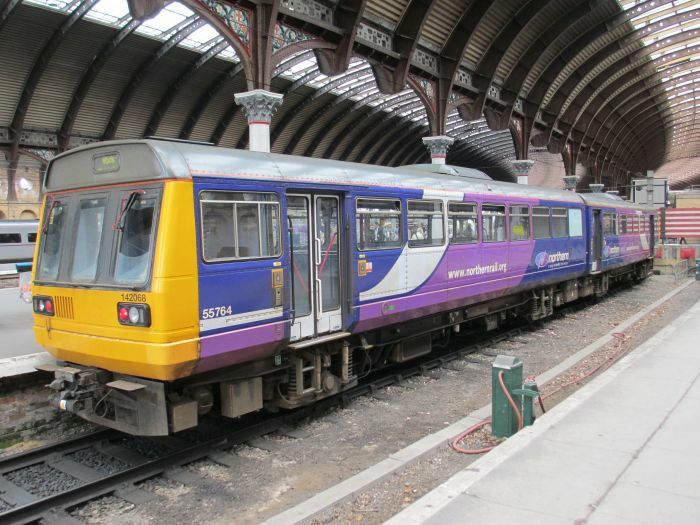 Even in 2017 these old Pacer Class 142 DMUs are still doing sterling service in the north-east of England. 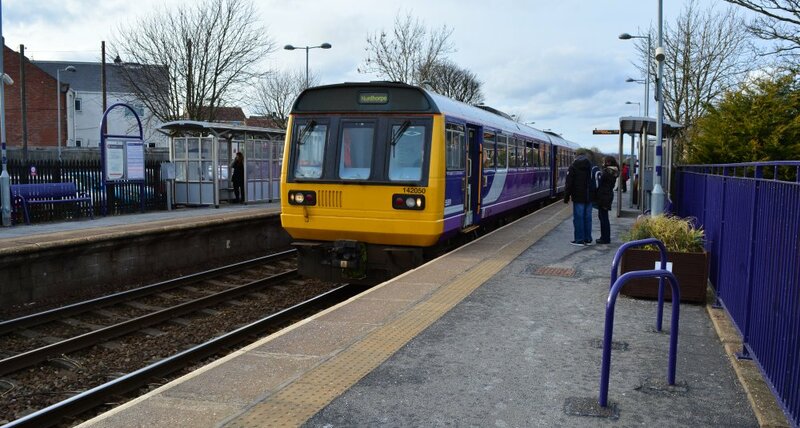 A 2-car Class 142 DMU 142042 leading a 2-car Class 150 DMU train entering Prescot station with a Northern Rail service from Blackpool to Liverpool. 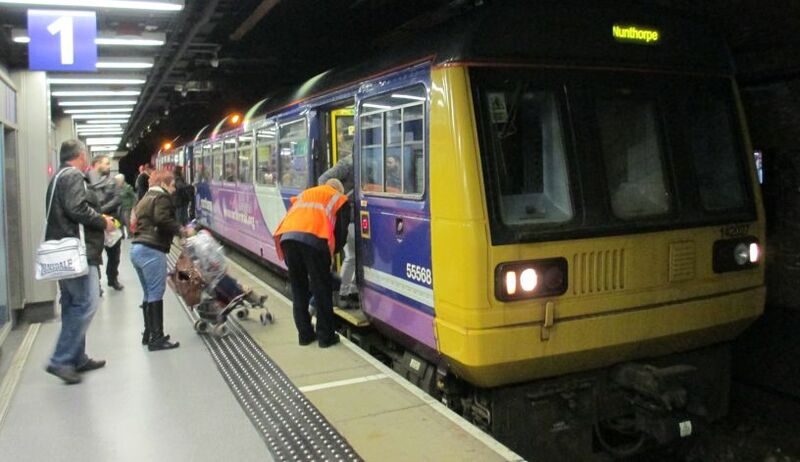 Pacer Class 142 DMU 142039 with an evening Northern Rail commuter service at Piccadilly station (2015). 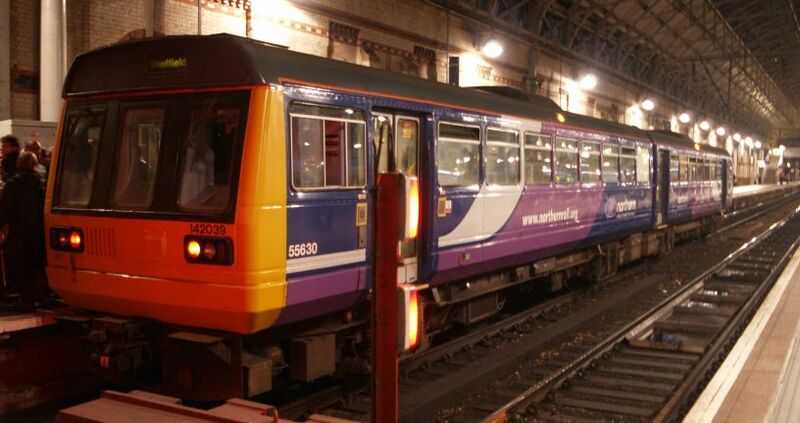 The 'twilight' of the Class 142 4-wheeled 'Leyland Bus' designed Pacers!!!! 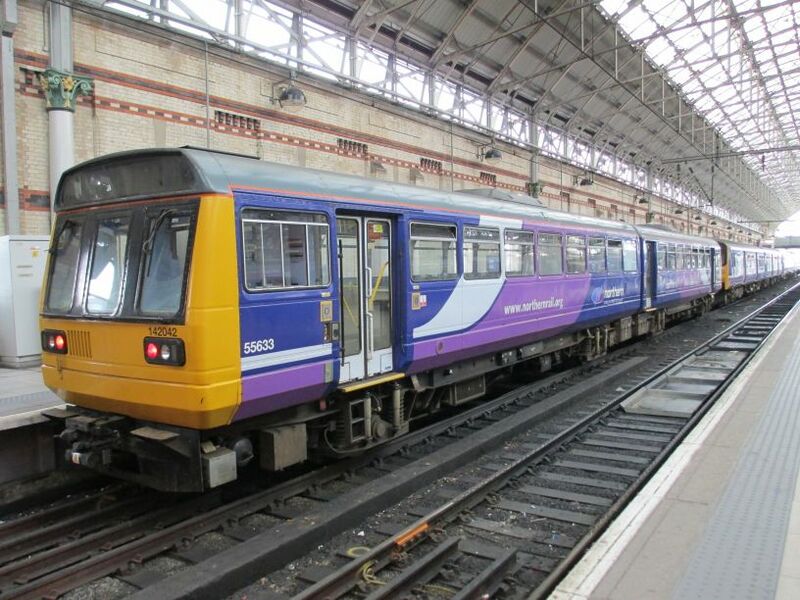 Class 142 Pacer 071 (DMU 142071, Class 142 carriage nos. 55721 55767) heading for York at Colton Junction with a train from Leeds. 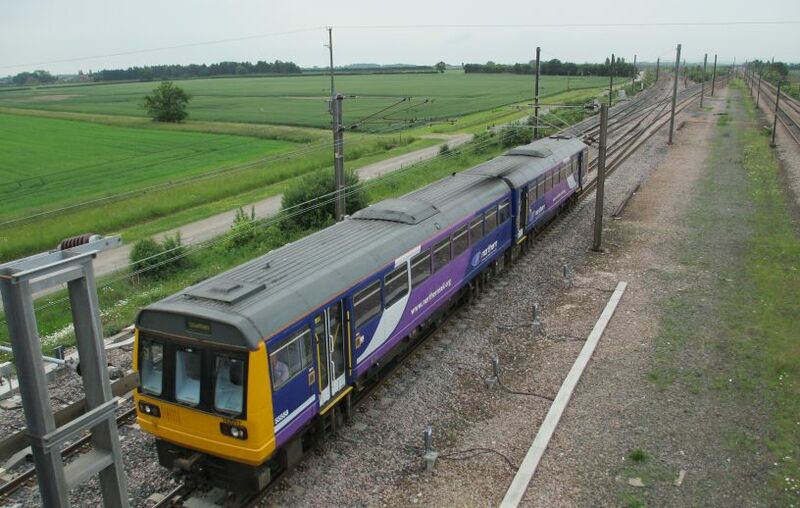 Pacer Class 142 DMU 142071 with a York - Hull train, at Colton Junction south of York. 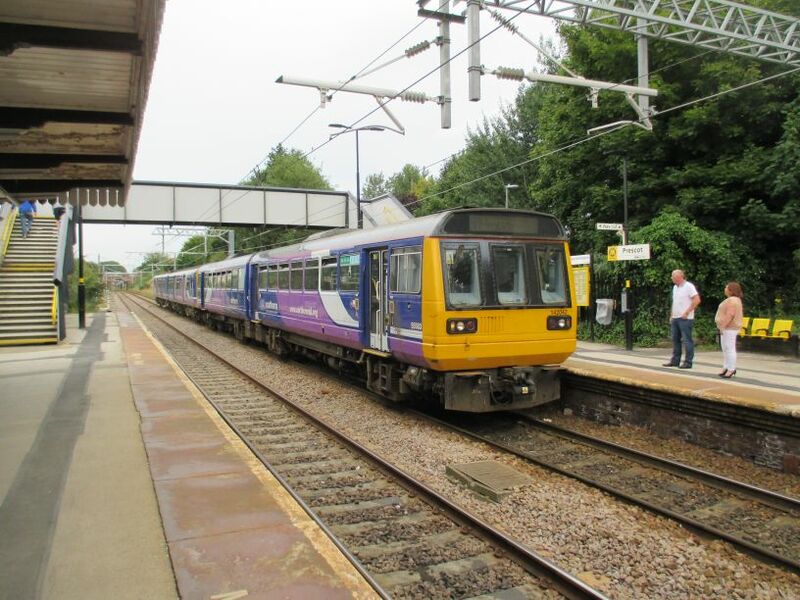 Class 142 Pacer DMU 142031 descending to Wigan Wallgate station with a Northern rail Huddersfield to Wigan service. 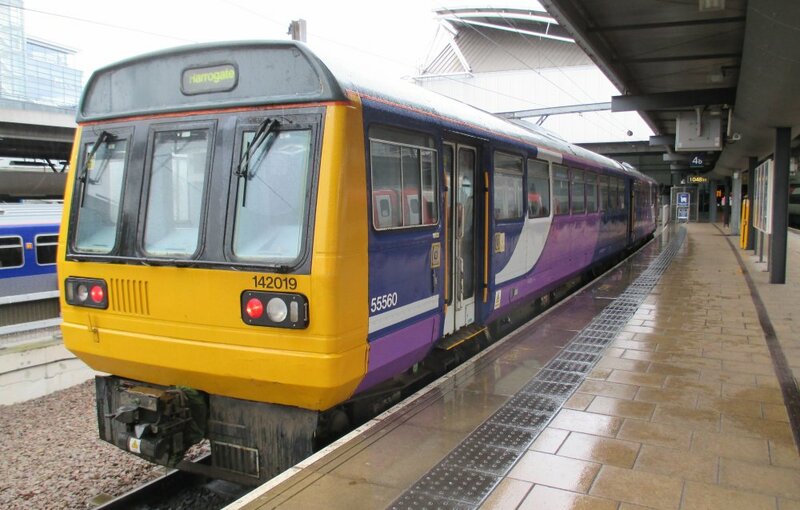 A two car Class 142 Pacer DMU on a Bishop Auckland-Saltburn Northern Rail train in Middlesbrough Station. 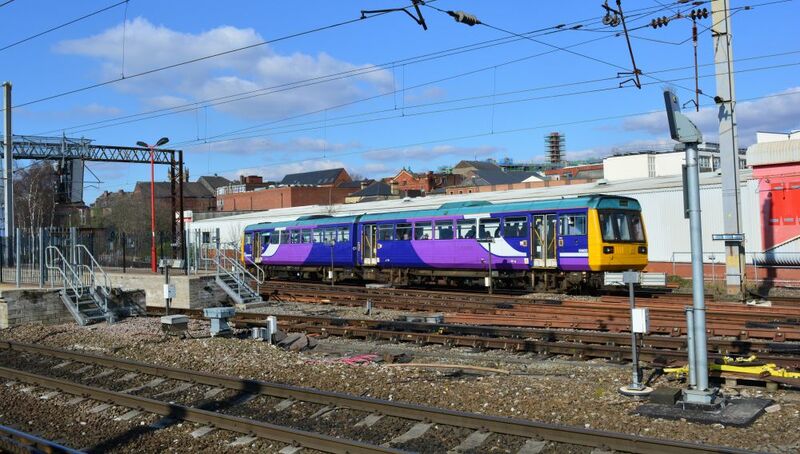 DMU Pacer Class 142 142086 (142 086, leading carriage 55736 and 55782 in the rear) standing in Middlesbrough Station with a Northern Rail Bishop Auckland to Saltburn train. 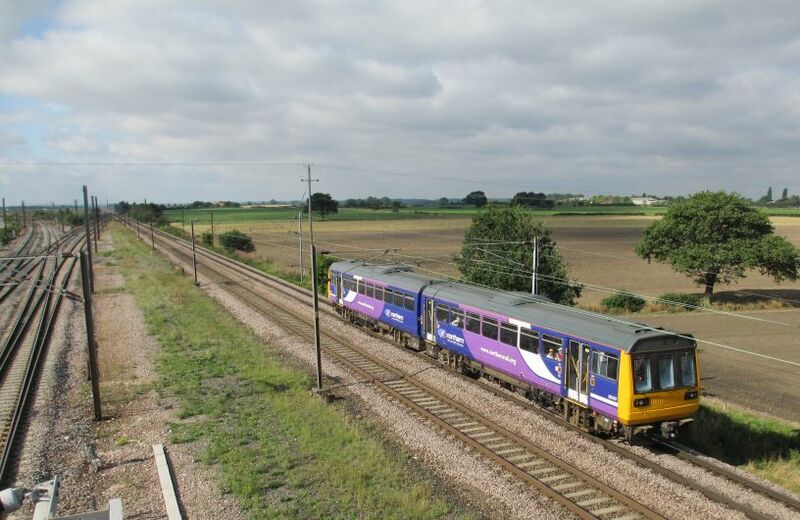 A two carriage Pacer Class 142 heading south from York on the East Coast mainline at Colton Junction, with a train from York to Selby and Hull. 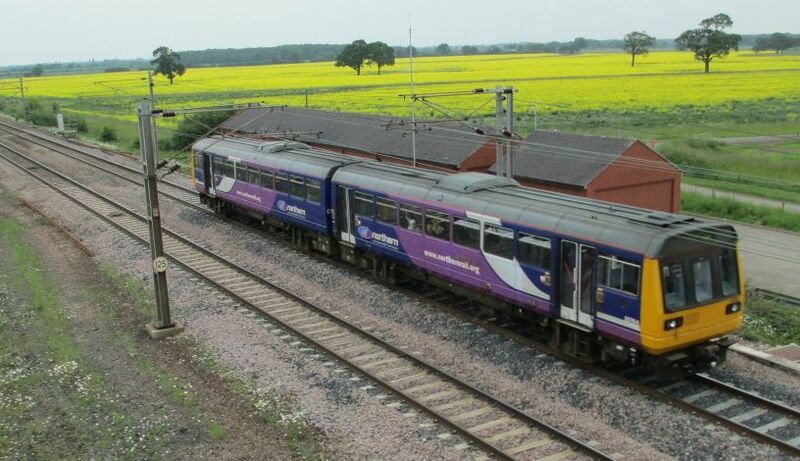 Pacer DMU Class 142 142017 (142 017 Class 142 carriage numbers 55558 and 55608) two car train heading for York from Hull at Colton Junction. Class 142 Pacer DMU 038 (DMU 142038, Class 142 carriage nos. 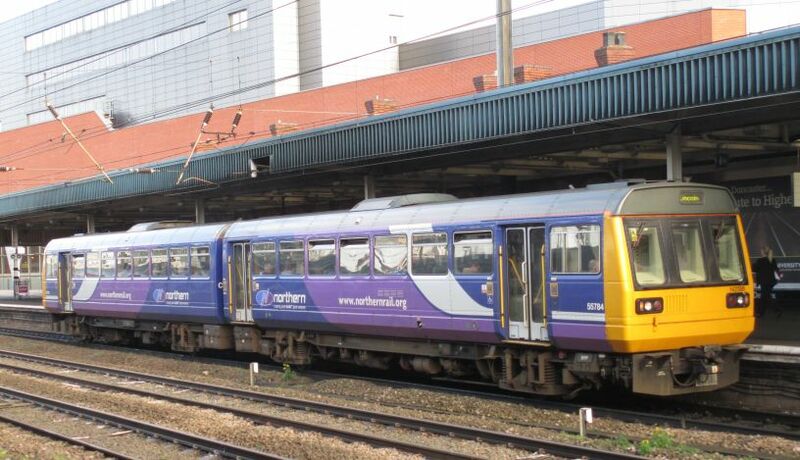 55579 + 55629) at Sheffield Station with a train for Scunthorpe. 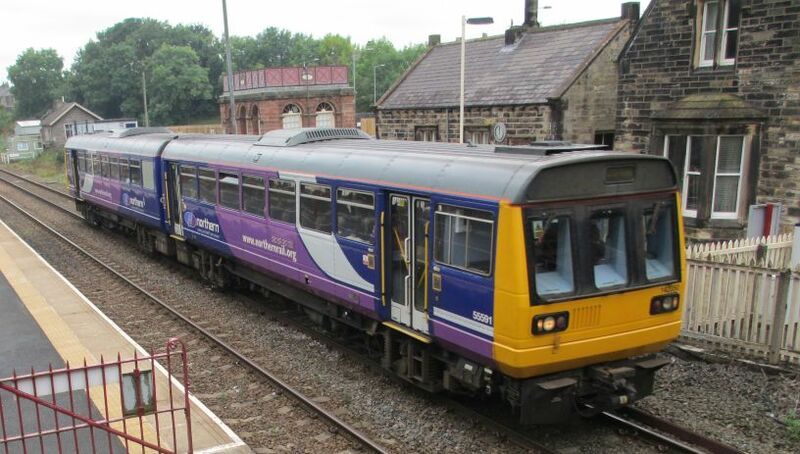 BREL Class 142 Pacer DMU 142050 (Class 142 carriage numbers 55591 front and 55641 rear), Haltwhistle station. 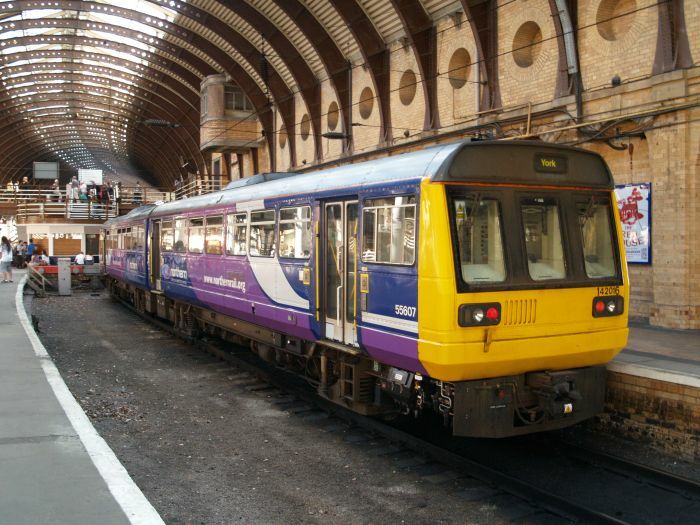 Class 142 DMU 142086 waits at Newcastle Station with a train for Morpeth. 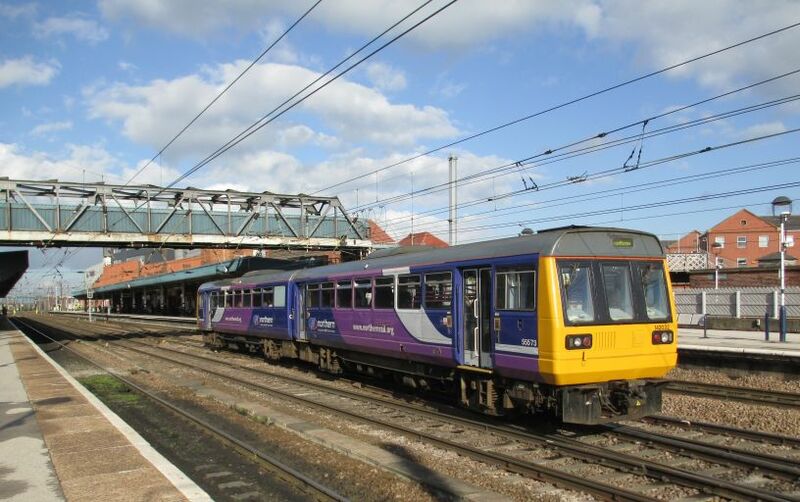 Class 142 Pacer DMU 142027 at Sunderland station with a train from Hexham to Nunthorpe. 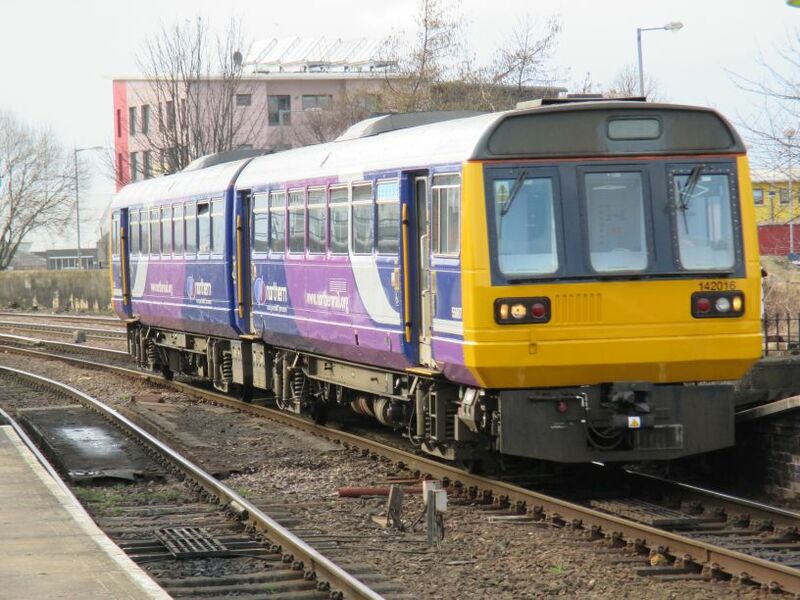 Passing by Wigan NW, Class 142 DMU 142058 leading a Class 150 with a Wigan Wallgate to Blackburn Northern Rail service.